EU Regulators may open antitrust investigation against US-based chipmaker, QUALCOMM, Inc. (NYSE:QCOM), in relation to a 2010 complaint by Icera Inc., a British chipmaker that focuses on mobile broadband, developing wireless modems for USB sticks, laptops and smartphones; and a subsidiary of rival NVIDIA Corporation (NASDAQ:NVDA). “The Commission may open a case after the summer”. The company believed that the allegations were meritless and it will cooperate with the European Commission’s investigation. They also drew similarities between Icera’s allegations and those in complaints submitted previously to the EU that apparently failed. The complaint was filed four years ago by Icera Inc. And in 2011, the company was purchased by NVIDIA Corporation (NASDAQ:NVDA) in an acquisition worth $367 million, which was aimed to help NVIDIA Corporation (NASDAQ:NVDA) better compete against primary competitor, QUALCOMM, Inc. (NYSE:QCOM), who already provides processing and modem chips for portable devices. The market was led at that time by QUALCOMM, Inc. (NYSE:QCOM), Intel Corporation (NASDAQ:INTC), and Broadcom Corporation (NASDAQ:BRCM), and NVIDIA Corporation (NASDAQ:NVDA) wanted to carve its own market share from these market leaders. EU competition authority usually take several years to build a case before opening an investigation, and the maximum fine for companies found guilty of breaching EU antitrust rules can be as high as 10% of their global revenues. 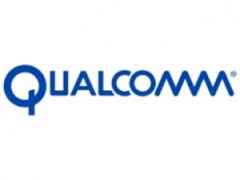 Last month, QUALCOMM, Inc. (NYSE:QCOM) announced strong fiscal third quarter results as were high due to robust smartphone and tablet shipments. But also last month, the QUALCOMM, Inc. (NYSE:QCOM) was charged by Chinese antitrust regulators and determined it has a monopoly over mobile chips. The National Development and Reform Commission (NDRC) investigated the company’s local subsidiary and charged them with overcharging and of abusing its wireless communication standards. This indictment could see the company get slapped with fines of up to $2.5 billion. This article has been written by John Aquino.